“Interesting” might be the best word to describe my homeschooled experience from kindergarten to third grade — because it’s the kind of vague word you use when you don’t have anything nice to say. Now, as a parent of two boys who is soon preparing to enroll my sons in school, I can’t fathom the idea of homeschooling my own children. It’s not just that I work full-time, making the possibility of homeschooling damn near impossible. It’s that, from my experience, homeschooling was almost crippling in its isolation and lack of socialization. This isn’t even taking into account that my mom was quite the unwilling teacher. I don’t blame it on her, exactly. It was my religious father who was really pushing the homeschooling envelope — he wanted all of his children naturally birthed, breastfed extendedly, co-slept and God-fearing. Oh yeah, and he wanted us homeschooled too, presumably to protect us from the evils of the world that might seep into our psyches had we been enrolled in a public school. While my father has his own demons, he can be a surprisingly upbeat personality, for the most part. That is to say, he was nothing like the religious authoritarian parents on movies like Footloose and Carrie, but he did think that minimizing our exposure to the world was “for our own good.” As a parent who now firmly believes that socializing my kids at a young age will not only make them stronger and more resilient but more compassionate to those around them, I couldn’t agree less. It was my father who wanted the homeschooling, but my mother had to execute it as our home teacher. Every damn day. Even as young as 5 years old, I could remember thinking that my mom was a teacher who really didn’t want to be there. I felt the reluctance, I felt the burden and I felt the frustration as I was forced to study independently most of the time so that she could tend to my younger brother and sister. Homeschooling isn’t all bad. There is, of course, a silver lining. All of that “freestyle” schooling without a formal teacher at a young age made me quite the independent and hard worker. I was able to combine kindergarten and first grade as a homeschooled kid in the ‘90s so that I graduated early at 17, also at the top of my class. So what am I complaining about exactly? My main issue with homeschooling was the motivation behind it. And while it sounds like my parents were taking it a little too far (which they absolutely were), I knew dozens of other religious families just like us. Embracing a faith or a religion is one thing, but attempting to shelter your kids from the world by controlling their schooling is quite another. It’s for this reason alone that I would never do the same thing to my kids. While homeschooling has the potential to cultivate exceptional intelligence (I wouldn’t call myself “exceptional” per se, but I will credit homeschooling for my ability to learn independently), the social and emotional intelligence aspect is sorely lacking. Yes, we went to church activities with other kids. Yes, we had friends whom we met in homeschool groups. Yes, plenty of children who are homeschooled join competitive sports teams, dance classes, math leagues and the like. But what about the other six hours in the day when we were confined to the house with my frazzled and frustrated mother? Instead of being allowed to spend time in a conventional classroom with a dozen other students of different genders, races, backgrounds and belief systems, my worldview was shaped by the four other people in my family. Looking at this objectively, there is no way that this type of limited socialization can benefit a child in the long run. Kids don’t just need a book-based education, as Daniel Goldman described in his 1996 New York Times best-selling book Emotional Intelligence: Why it can matter more than IQ. Kids need just as much social and emotional stimulation to learn how to read social cues, overcome personal and relational challenges and even build self-confidence as they began to better understand their place in the world. That’s precisely what was lacking in my elementary homeschooling stint: a real and autonomous connection with the outside world. Every social interaction I had up until the age of 8 was governed by my parents and filtered through a religious lens. I can only be thankful that my homeschooling was short-lived, as I began to attend private and then public school following my parents’ divorce, so that my social skills had time to develop in middle and high school. 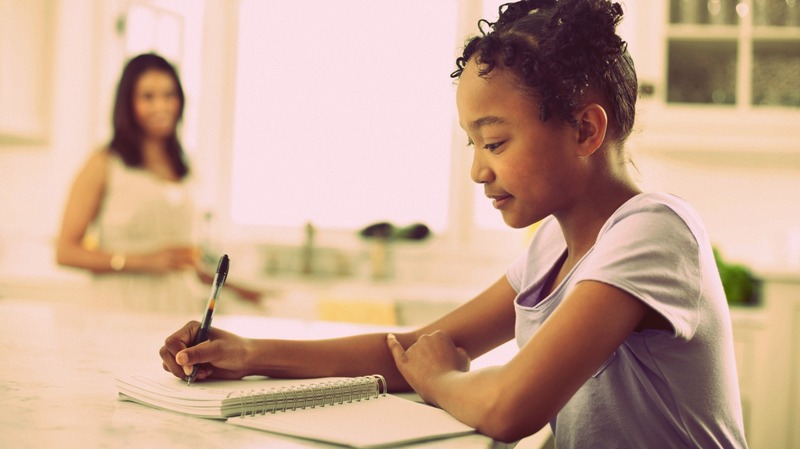 There are several examples where homeschooling may be more beneficial than a traditional classroom: cases of bullying and learning difficulties come to mind. But much more often than not, these situations are the exception to the rule. It isn’t the education homeschooled kids are missing out on, in most cases. It’s the socialization. What I’ve learned from reading the research and watching my kids grow is that children are born naturally thinking they are the center of their world, and it’s only by exposing them to many, many other people and environments that we can teach them how to care, relate and respect.